Until we solve energy (ie; fusion) Arcologies are just a neat idea. We can grow (near) vertically with hydroponics but there’s no sense using anything other than sun to grow food. You could possibly use Google Gnome to keep track of the data. And it can also let you listen to cool music while you are testing the plants. The crops can produce a larger yield. But a 300 bushel per acre of corn holds no greater nourishment than a 100 bu / acre. You need more dirt not more fertilizer. citation? weblink? I’m not seeing how healthier plants with more weight wouldn’t produce more nutrition. if normal corn were 100 kcalories and 10 mg of niacin per 1 kg, for instance, I wouldn’t expect plants grown with precision fertilizer, assuming they produce 3x as much, to be 33 kcalories and 3 mg of niacin. Maybe 90 kcalories and 9 mg of niacin… but you’re still producing more nourishment if that were the case. This is knowledge I gleaned from my years on the farm as a kid. My grandfather was satisfied with growing 35 bu of corn per acre. When I was 14 (1951) and in 4H he and I measured off an acre, took soil samples at each corner and the center and sent them to the County Agent. He replied with how much and what types of fertilizers would grow 100 bu. I grew 97-1/2. Now days that yield is called a crop failure. Farmers earn more cash for more corn because there’s more of it, but the hog growers must feed supplement for their animals to reach the desired weight in the desired time frame. There’s no free lunch. I am confused. How was the 97-1/2 bu of corn nutrition measured to the 35 bu of corn? Is it being compared to what is needed for a Hog to reach its weight? Ie did it take 100 by of corn for the Hog to gain the same weight at the previous 35 by of corn? It was a 4H project. Where my grandfather grew 35 bu I grew 97-1/2. But the nutritional was no greater. Bushel for bushel increases in yield per acre elevates stress on the system. Fyi nutrient that is put in the soil like nitrogen,potash, zinc,iron,copper all add to the nutrient levels of the crop grown. What ever the weakest link in the production cycle is what the yield will be… if you have everything balanced no nutrient deficits then you will optimize your yield. If your soil is messed up short on micro nutrients or ph too high or too low… yield will be less than optimum. That’s why I do in season tissues test to catch nutrient problems. Here in the U.S. some modern harvesting machines (i.e. combines) incorporate GPS into yield data on the go. That gives the farmer a map of which GPS locations may need additional fertilization/irrigation/drainage. This data can be fed into a spreader machine to allocate a predetermined amount at each location for the next season. Now to teach them to use the inevitably difficultly interfaced program! My understanding is that it is the pattern of colouration that is indicative of the exact nutrient imbalance and that this is different between plant types to some degree. How can this device manage that? A similar way your eyes do but more precisely. In theory rather than waiting for the whole leaf to turn you notice the deficiency sooner. Your eyes produce a 2D data set and that was, obviously, the point. Is your Amerindian name “Speakswithbutthole”? Sure, your eye can see lots of information if the leaf is already damaged but in theory this catches the damage before the whole leaf is affected. It’s not like you can’t take multiple readings per leaf or put more sensors on the instrument to save time. Except that it doesn’t, you can’t tell what the specific deficiency is without the 2D map, as far as I can see. You also need to be able to tell the difference between a deficiency and malabsorption. This is the actual problem and what you are failing to explain when you suggest that a point sample is meaningful to the same extent as a 2d image. The only adequate compromise would be a 1d stripe across the leaf, that would give you enough data if done at the right point, but would require more skill. Some back-end AI and a smart phone with gps would do as good or better at detailed plant nutritional analysis. Just walk along and snap georeferenced images for later analysis. No new gear required just an app running on a commodity item that has 100’s of other uses. When was the last time that you grew anything from seed to harvest? A) It’s not meant to differentiate between malabsorption, nor can looking at leaves. Without a soil test of some sort you’re not gonna be able to tell. B) Transmission spectroscopy doesn’t work like our eyes do.Which is the whole point. D) Why spend all the time formulating a computer vision back end IF you can get the same results from a simple instant read? E) Since we’re not through this growing season for anything but herbs, last year. I don’t really see what that has to do with analyzing plant deficiencies with instruments though. Actually, there is some aditional information being relayed, as there is much more detailed spectral information than what the eye can see. For one, your eye does not do very well at 950nm, and secondly metamerism can ruin your perception. A picture of a grean leaf and an actual green leaf are very hard to distinguish without detailed spectral info (and the lack of 3d info of course). While the 2 information might yield some additional relevant information (which is in fact what hyperspectral imaging tries to do), the benefit of more detailed spectral information, especially because it’s in wavelengths we cannot percieve is not trivial at all. Detecting the chlorophyl content is not something that is easy to do by eye I guess, and only when the defficiencies are quite serious (and thus have been alowed to persist for a longer stretch of time) will show in visible defects in the leaf. 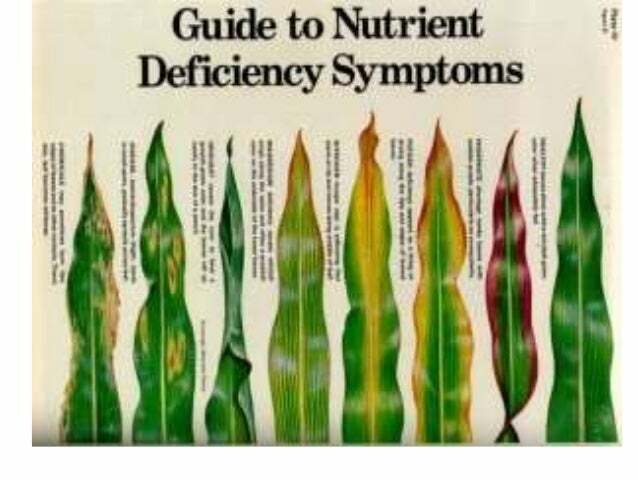 The fact that the deficiency will warp the leaf and can be used to determine the deficiency, does not mean that that this is the -only- way to determine this. Very true, if we all ate quorn type cultured protein and ran our cars on electricity produced in fusion reactors there would be a huge amount of good agricultural land made available. The thing is that the most advanced and efficient agricultural operations don’t use soil as it waste nutrients and water due to leaching and run-off etc. That’s not untapped farmland, though. It’s currently being used for something else. It is very much tapped. Depends on your definition. It is untapped for the purposes of feeding humans (the dilemma described in the article) as 90% of it currently does not feed humans. Indirectly, feeds humans for some variable efficiency. Untapped farmland, sure, but land that can be farmed, there is a lot! Your yard can support more than most people put on it, and there is lots of land under power transmission lines, by roads, and around many businesses that is wasted with water sucking grass… Plus farming drought tolerant/low water crops in places like Arizona, Nevada, Texas and California (rather than high water need plants like cotton) would be more economical. [just inform] There is Android app “BaiKhaoNK” that can help to estimate amount of nitrogen by measuring the color level of a rice leaf.